Combine the water, yeast and sugar in a small bowl and leave in a warm spot for about 20 minutes or until the mixture foams. In a large bowl, mix the flour and salt, then make a well in the centre. Add the olive oil and the yeast mix, and combine. Work the dough until it comes together, then turn out onto a lightly floured bench and and knead for a few minutes until it becomes silky and smooth. Return the dough to the bowl, cover it with a towel and leave it to prove for 15-20 minutes or until it has doubled in size. 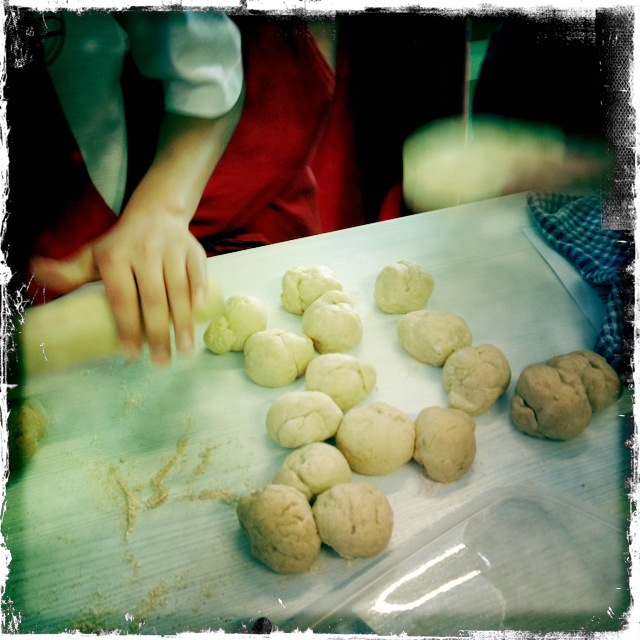 Divide the dough into 12 portions and roll each piece into a flat, thin, even disk about 16cm in diameter. 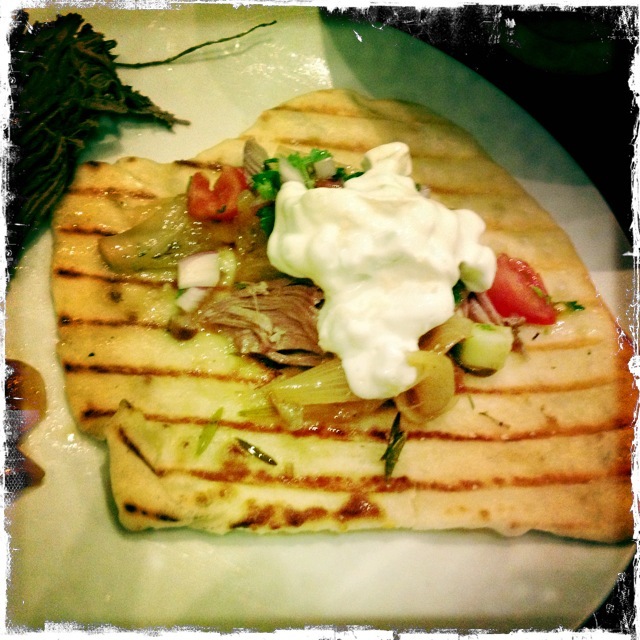 Brush a flat bread with olive oil and place it, oil side down, on the bars of the barbecue. Gently brush a little oil on top as well. In seconds, the bread will start to puff. After 20-25 seconds, flip it over and cook for 20 seconds more. Do not cook for too long or the bread will dry out and become crisp. Repeat with the remaining disks. Stack the cooked breads and wrap them tightly in a clean tea towel or even cling wrap to keep them warm. Serve with yummy ingredients & roll up to eat! 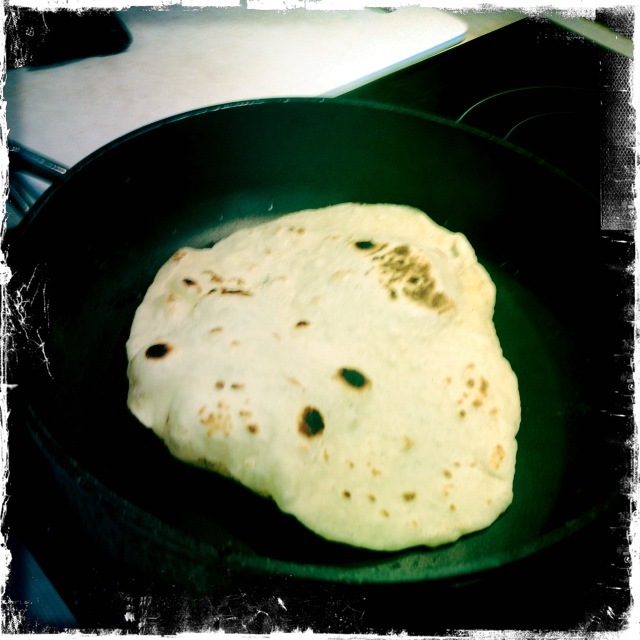 If you’ve never made bread from scratch, pita is the perfect place to start. If you have made bread before, you’ll know how delicious these can be! They are great served with hummus for dipping, or our falafel with herby yoghurt… this recipe makes about 20 small pita breads. Dissolve the yeast and sugar in 125ml warm water, cover and set aside for 15 minutes until frothy. Dissolve salt in remaining 250ml warm water. 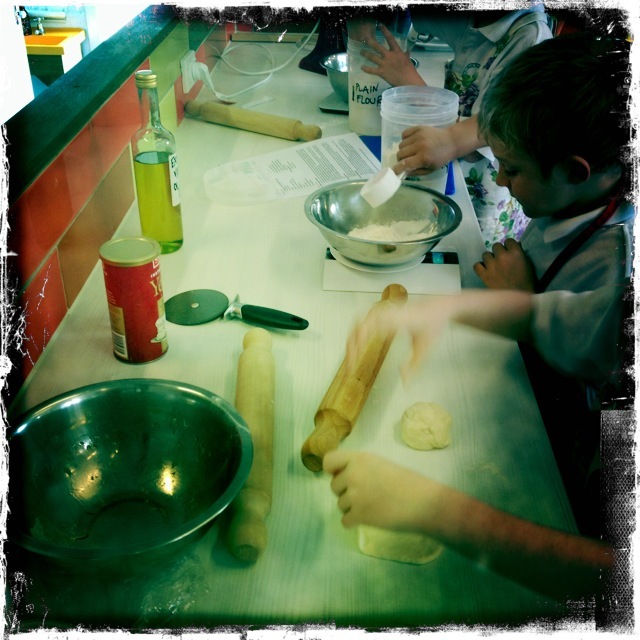 Place flour and semolina in a large mixing bowl and make a well in the centre. Add yeast mixture, 1 tablespoon olive oil and salt water. Knead with hands for 10 minutes in the bowl. Shape into a ball in the bowl, cover with glad wrap and place in a warm area to rise. Wait about one hour until dough has doubled in volume. Punch down dough and knead on a floured surface for one minute. Divide dough into pieces slightly larger than an egg and roll quickly into little balls. Leave to rest under a damp tea towel for 5 minutes, then roll out on a floured surface to a thickness of about 6mm. Prick bread with a fork in several places. Preheat a frying pan, add a dash of olive oil and cook bread over high heat for a couple of minutes each side until lightly browned. Repeat with remaining breads, carefully wiping out the frying pan if smoking and adding oil for every second one if necessary. Stack breads on a clean tea towel, placing clean tea towels between each second one to absorb the moisture, and allow to cool. Slice into quarters or strips and divide onto the plates. 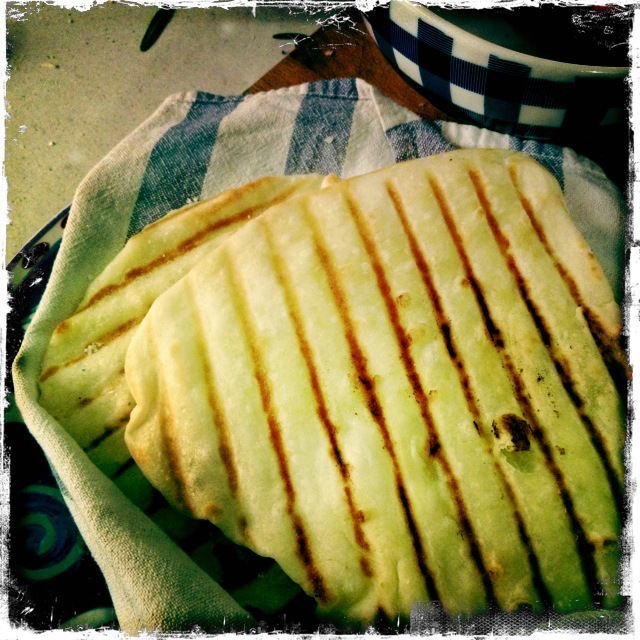 Notes: Where does pita bread originate? Where are other flat breads used? What other sort of dishes do they go with? What does dissolve mean? What does absorb mean?